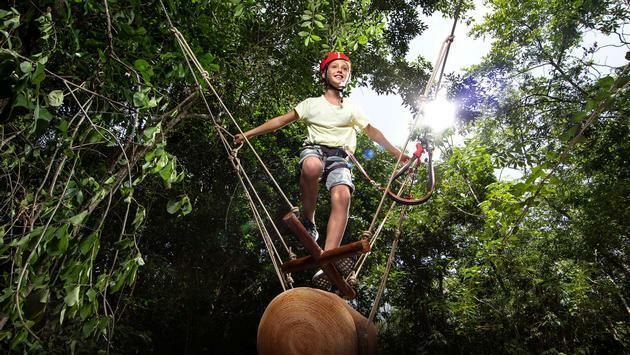 Let the kids be kids during a stay at Hotel Xcaret Mexico. Head to the Muluk Spa for a pampering service of your choice. Guests will be able to dive into adventure at Hotel Xcaret’s included parks. Let Hotel Xcaret Mexico take care of everything while entertaining you and your guests from start to finish. Hotel Xcaret Mexico introduces Xcaret Rewards and Xpert Course. Experience the region's unmatched culture and natural wonders stress-free with Hotel Xcaret Mexico's All-Fun Inclusive concept. Get to know the resort’s 10 restaurants. Discover spacious and luxurious rooms at this stunning hotel in Mexico.